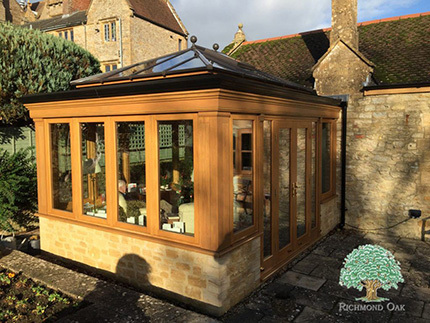 Many owners of Listed Buildings or those in Conservation Areas or Areas of Outstanding Natural Beauty (AONB), believe a hardwood conservatory or orangery extension will not be allowed on their property. This is not true, but the structure will need to be sympathetic to the existing building, in keeping with local architectural styles and built from suitable materials (not uPVC). Oak, for centuries considered the finest building material, is a natural favourite with planners. Richmond Oak have extensive experience of applying for Planning Permission and working with planning departments that deal with Listed Properties and developments in Conservation Areas and AONB. 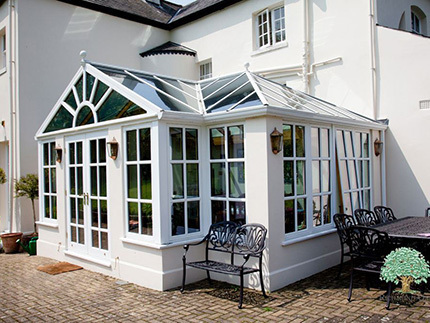 We are also able to offer comprehensive conservatory advice in many areas of conservatory design, construction, moves, glazing, heating, ventilation and finishing. 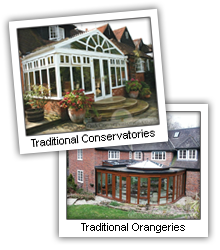 What’s more, because we individually design each hardwood conservatory or orangery to complement the existing architecture, we are ideally placed to create an inspiring design that answers your requirements and enhances the historic value of your home. 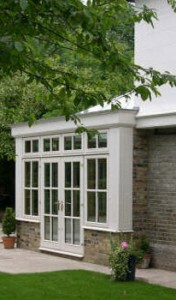 "The Richmond Oak Orangery was a wonderful addition. It's brought us out into the garden. We sit here, very much all through the year. It's brought all that we love in our garden into our house." The objective of the project was to create a relaxing family living space with an uninterrupted view of the attractive garden. Not much of the garden was visible from the main living rooms.